Scales can be used to evaluate a students' performance. 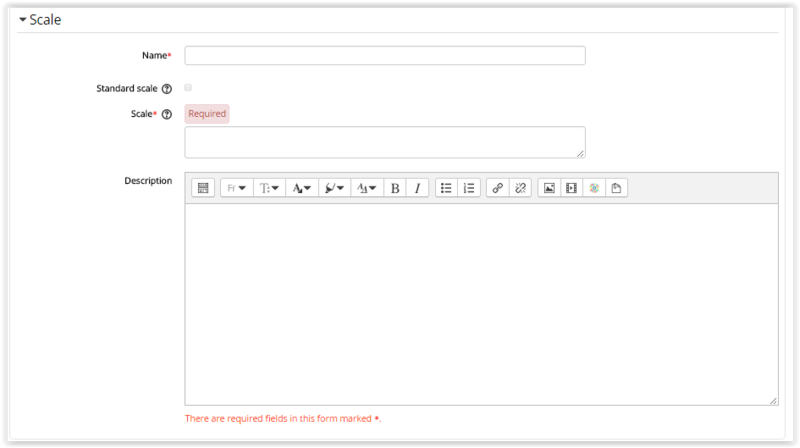 Administrators can create standard scales that can be made available across the site, or custom scales for personal courses. 1. Login to Moodle and open the desired course. 2. 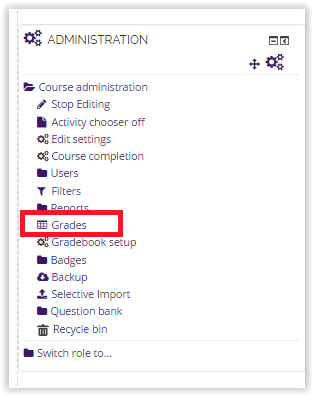 Under the course information folder, click Grades. 3. 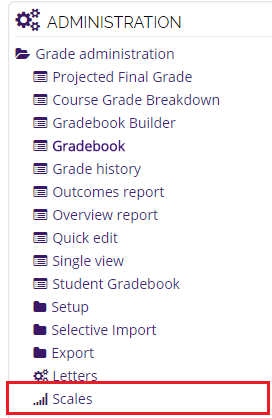 At the bottom of the page you will find the Grades Administration block. Scroll to the bottom of the list and click Scales. 4. Click the Add a New Scale button. 5. Give your scale a name in the Name box that will identify it among other scales. In the Scale box, create your scale. Each item in the scale should be separated by a comma. You can use as many options here as you require. You must order the comma separated elements in increasing order of value. Then you can write a detailed description in description box of how the scale is to be used.